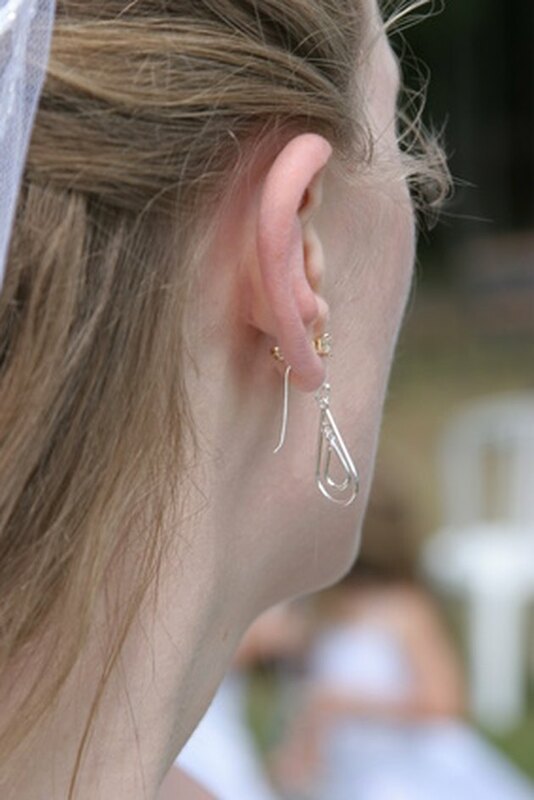 If you haven't worn earrings in a long time, the holes in your earlobes may have closed. If you feel a small knot in the skin where the hole is, it is more than likely the fistula, or skin tunnel, created when your piercing healed. It may be possible to pass a thin piercing taper through the fistula and reopen the piercing enough to insert jewelry. A piercing taper looks like a long needle with a blunt end. As always, with any piercing-related issue, it is best to visit a professional body piercer with the tools and expertise to assist you. Find a reputable body piercer in your area. Look for one certified by the Association of Professional Piercers. Ask the piercer to reopen your piercings with a taper if possible. He will be able to look at your earlobes and determine whether it is possible to pass a taper through them or if they will need to be repierced with a needle. Select surgical stainless steel, titanium or niobium jewelry to wear in your newly opened piercings. These metals are least likely to irritate your earlobes. Breathe deeply throughout the procedure. Your piercer will lubricate the taper, insert the tip into the fistula and push it through as you exhale. This may be slightly uncomfortable but should not hurt. As your piercer pushes the taper out, she will push the jewelry in. You should not even feel the jewelry being inserted. Care for your piercings according to your piercer's instructions. She may recommend you return to saline soaks and cleaning with antimicrobial soap, just as you would for fresh piercings.